Pet owners generally see their cat, dog, or other animal as part of the family. However, the law does not necessarily follow suit, and as such, this can make for difficult discussions during a divorce. If you are a pet parent, it is important to be aware that your pets are not going to be treated like children. Being aware of Nevada property laws is a good idea going forward, as your pets will be awarded as part of the asset division. Pets are often assessed in Nevada courts according to their monetary value – the adoption fees paid, and also other intangible factor that may add to their value at sale (for example, being purebred). They would be considered like any other property, including determining whether the pet is community or separate property. However, it is, unfortunately, not as easy as simply asking who the pet belongs to. Generally, if a pet was owned by one spouse before marriage, it will be considered separate property, but if a pet was purchased by both spouses, or with community funds, it will be community property. 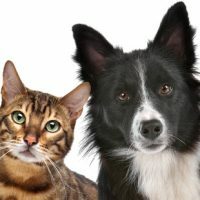 There are exceptions to these generalities, however; a court may examine issues such as who takes care of the pet, who spends the most time with the pet, and which spouse, if either, the pet is the most bonded to. While pets are often beloved members of the family, they are property in the eyes of the law. If you have confusion or questions about how best to handle your pets as assets in your divorce, calling a knowledgeable attorney can make a difference. The Kainen Law Group is ready to assist you with your case to the best of our ability. Call our Las Vegas office today to schedule an initial appointment.